These soda can shaped USB 2.0 Flash Drives are an excellent marketing tool for a restaurant, brewery, micro breweries, cold beer and wine stores, nightclubs, and pubs around the world. This style features a high-impact plastic case with USB connector concealed under a removable pull off cap. 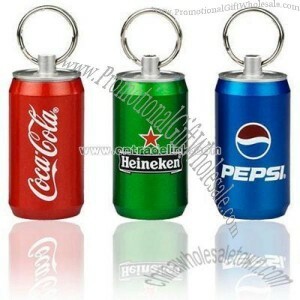 This beer can memory stick can be colour imprinted. hi can u do the same usb but with my energy drink photo?